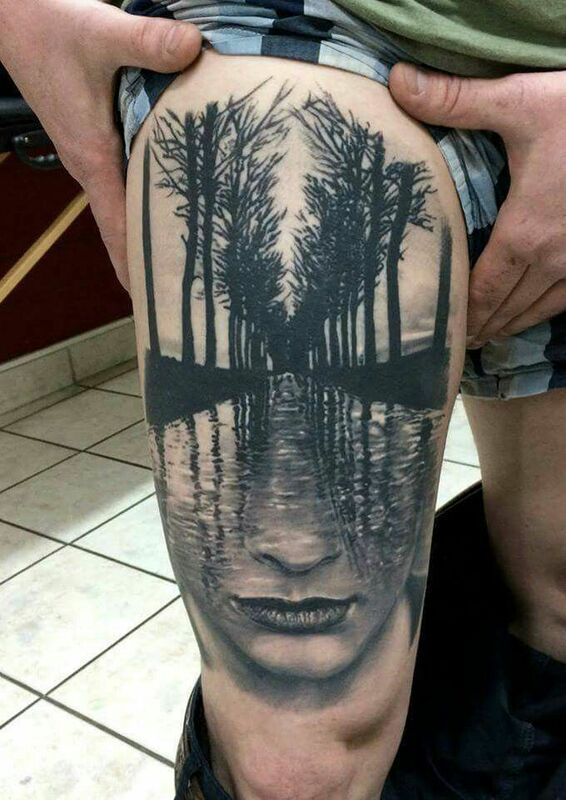 Surrealism tattoos are a new thing in the market. So as of now, not many people are aware of them. They display a combination of facts and fantasy and definitely very impressive. 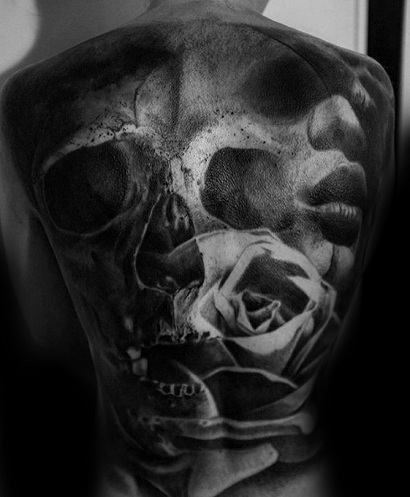 The tattoo artist not only needs a skilled hand at making this kind of tattoo, but also a huge amount of creativity. 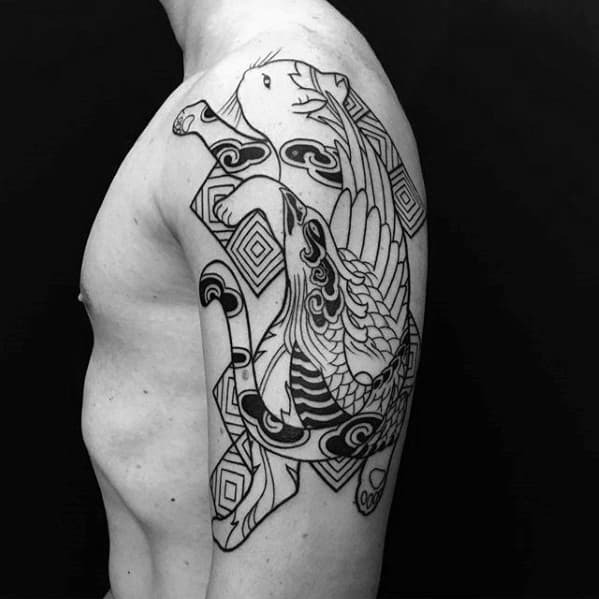 This is a little good creative method in the design of the surrealism tattoo pattern because such design does not exist anywhere but they could. In this type of structure, tattoo artists need to be expert also, perfection needed in this tattoo inking style. 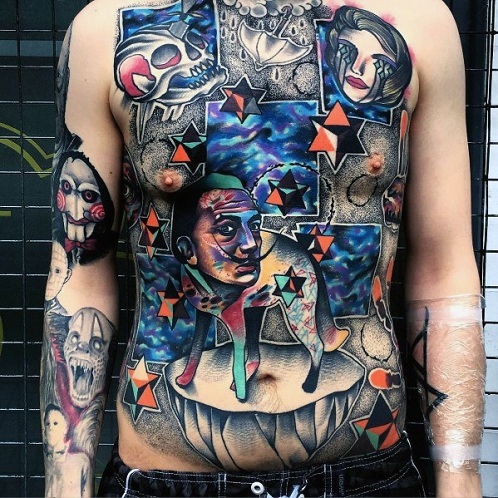 By far, Surrealism tattoos are the bizarre and unusual kind of tattoos. 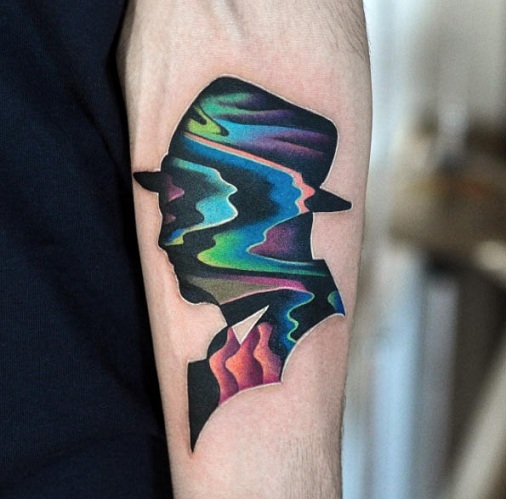 Let’s find out about the top 9 surreal tattoo designs. 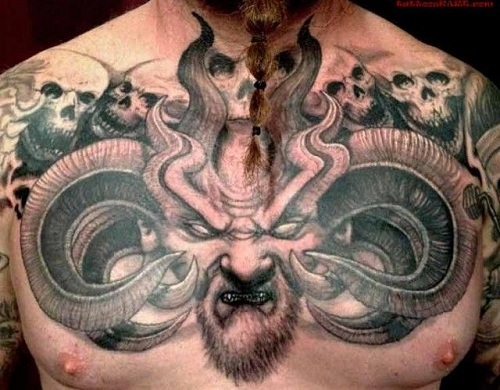 Devil tattoos are one of the most prominent and admired tattoo ideas. This design never grows old and each day more and more people get the devil engraved on their bodies. So now it made its place in surrealism tattoo ideas as well. 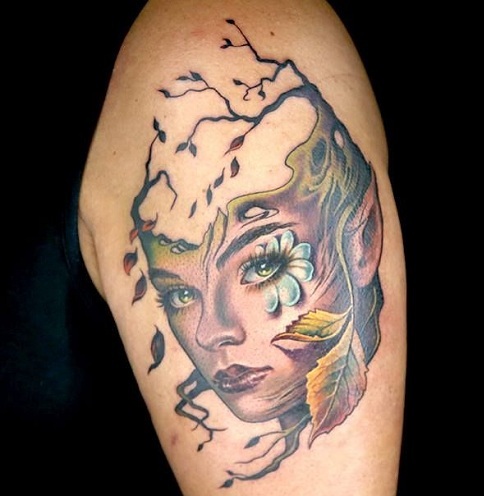 Surrealism tattoo sleeve is favoured by men as you can display the art as well as boast about it. 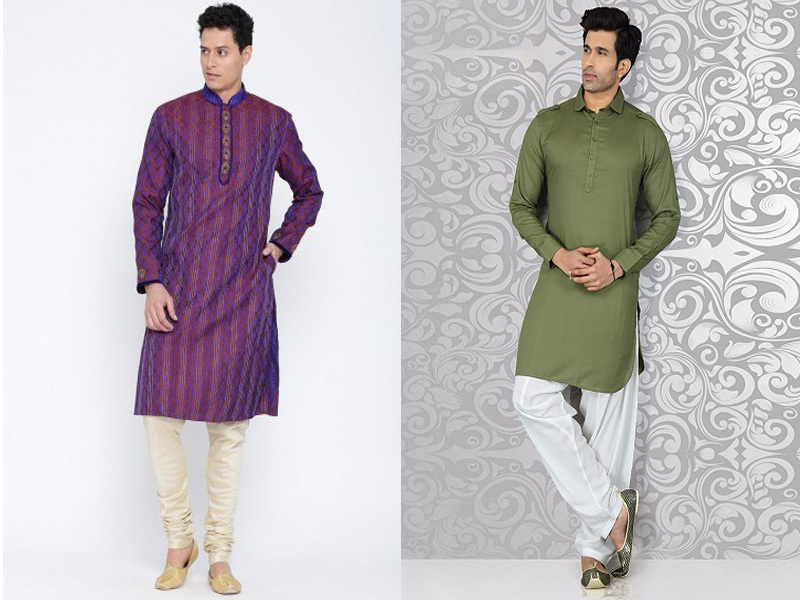 The design and the colour used to represent your attitude towards life. From half to full arm, you can make any size of the tattoo and of course the placing matters. Death and Demons featuring as surreal art tattoos gave an effect that will last for long. You can check out the link and see for yourself the amount of crazy creativity this tattoo artist has put to use. 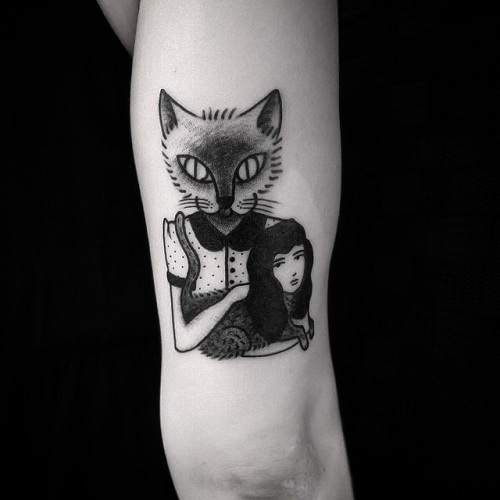 When it comes to women, they definitely won’t shy away from getting one surrealistic female tattoo made. The designs are spectacular and totally apt for women. 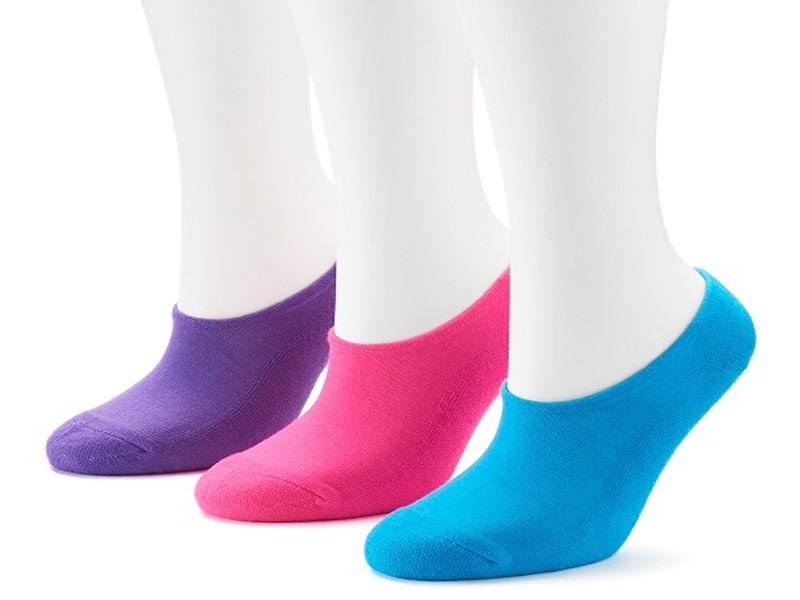 These are feminine in nature and as strange as they can be. A Lot of female celebrities are getting such designs made. 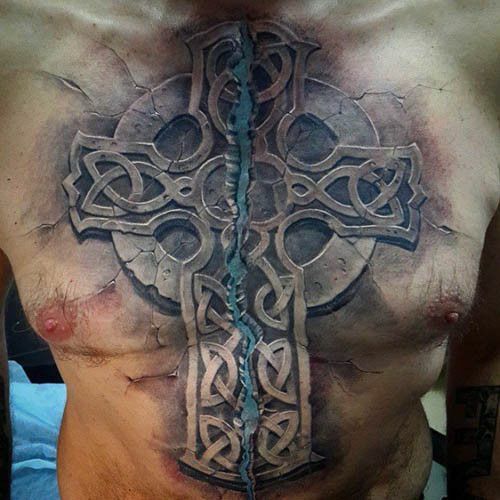 Religion is also untouched when it comes to surrealism tattoos. Faith in God is what people must carry all the time, but there are some fanatics who get it engraved on their bodies. They feel that their faith in God will strengthen if they get such tattoos made. Maybe they are right. 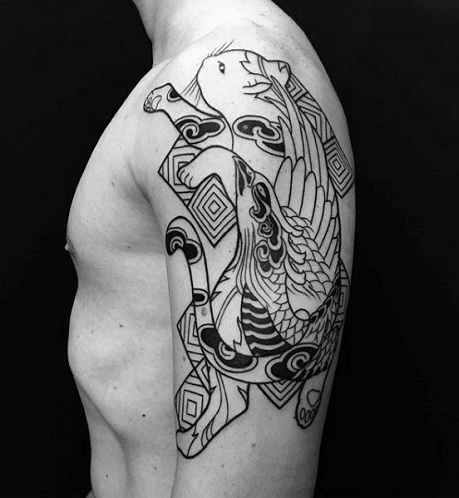 Another outrageous kind of surreal tattoo designs are the animal tattoos. Some very common animals used for tattoo designs are snakes, cats, wolfs, tigers, fish, birds and butterflies. Mixing them up with the surreal art will make you stand out from the crowd. 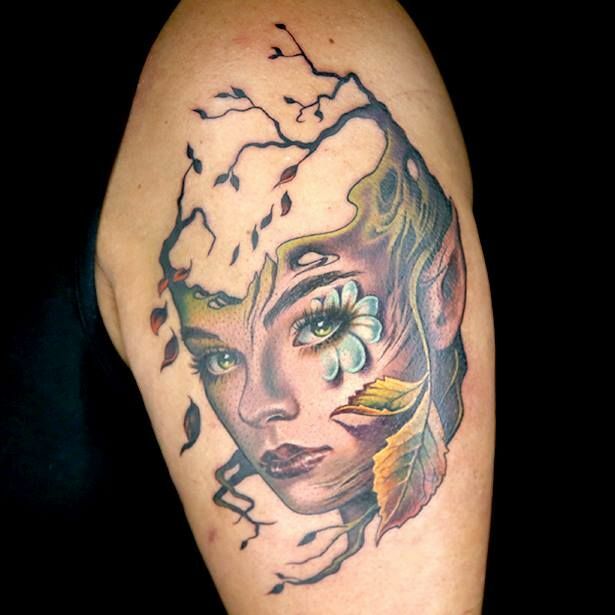 Making a tattoo surreal in nature is very extraordinary art because nature is very unpredictable, therefore you also display your spontaneity through the nature tattoo. This is a very amazing form of art and very appealing to the eyes as well. Floral tattoos and the pop surrealism tattoo are uncommon as they are based on conventional designs. These two combined, produce something which is exquisitely beautiful. Getting a surrealistic face tattoo, try to get it on your body. Have lots of strange faces made and let people wonder the thinking process used to make these tattoos. 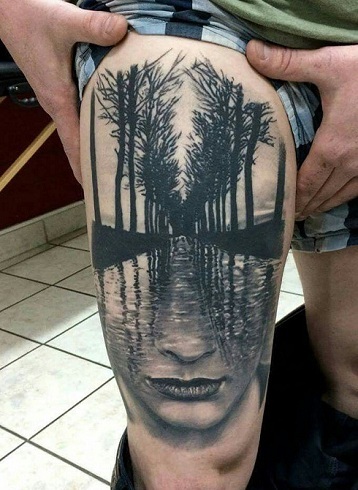 Surrealist tattoo has got mixed reviews. 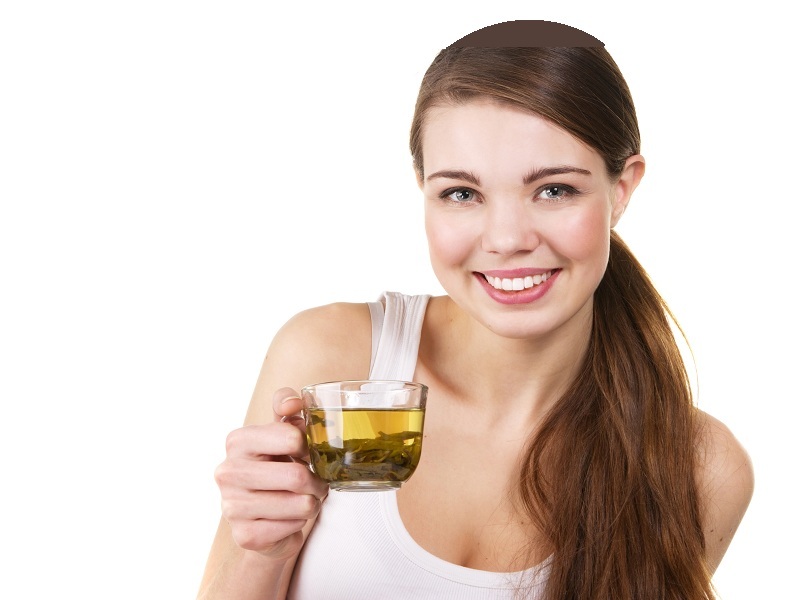 Though they came into being in the twentieth century, they are gaining popularity for many. These tattoos can be made about anything and everything under the sun, sci-fi, horror, love, romance everything. But gaining expertise in making these kinds of tattoos is very difficult. 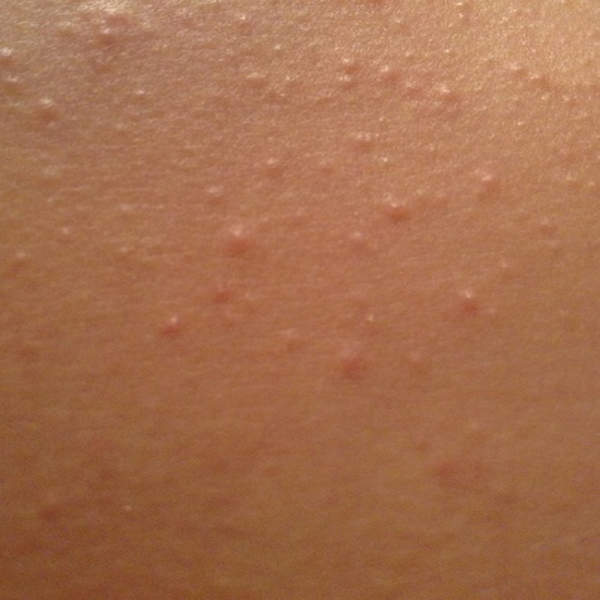 How To Get Rid Of Sweat Pimples?